I have been wanting a new bag for about a year and a half now.. my problem? most of the bags I've seen for men are very sporty or just not very practical for what I need them for. Most of the time I have to carry around at least a laptop and a notebook so I need something that is going to be able to carry that and also look nice, obviously! I started looking around a few weeks ago and I remembered Dune London - a brand that I have loved for years but have never actually brought anything from but ever time I go past, I have to go in. 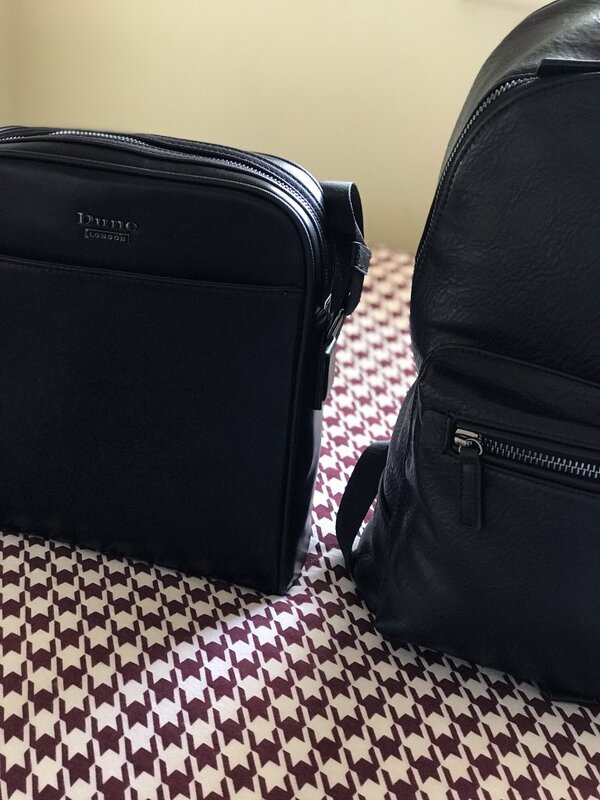 So I took the plunge, say hello to my new Dune London bags. Firstly, I can't start talking about the bags before I scream about their amazing delivery service. Both of my bags came together and they literally only took about 2-3 days to come which I was so impressed about! 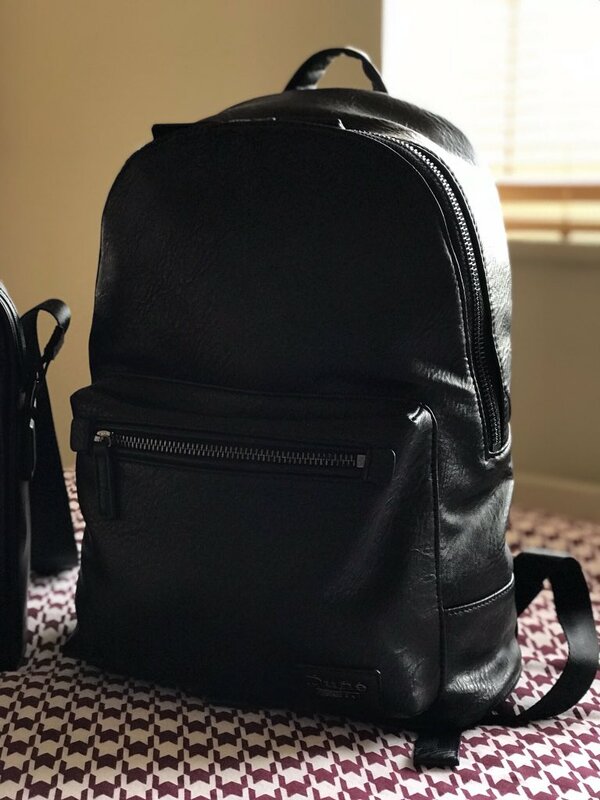 I firstly saw the backpack which is perfect for days where I need to carry a lot of things - a laptop, my notebook and all my other daily essentials. I hadn't actually saw it in real life, so i was a bit sceptical when I ordered it but when it arrived in it's luxury dust bag, I realised it was everything I wanted and needed it to be. It comfortably fits on my shoulders, thanks to Dune London's padded straps which even out the weight of my (very) heavy laptop (which I definitely need to invest in a lighter one!) which is amazing. If you're looking for a new bag, new shoes or if you'd like to check out their ranges then you need to head over to their website because they have some incredible items that look so luxurious (for not so luxurious prices!) which I don't know about you but that's exactly what I want in any item. I think a lot of people look at Dune and think it's so expensive but it's really not, I was amazed how good their prices are and every time I've visited a Dune London store, the quality of their products are incredible and their staff are so lovely and welcoming. It's quickly become one of my favourite brands and I'll definitely be visiting them again when I'm in need.